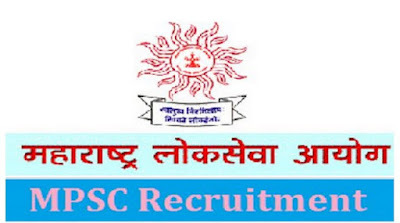 Maharashtra Public Service Commission (MPSC) is inviting online applications from eligible candidates for filling up various vacancies for the post of Police Sub Inspector. Candidates can apply for this job, by submitting the MPSC application form before the closing date. Candidates must get all the details about MPSC Police Sub Inspector Recruitment – Main Exam which is going to be held on fix date. Aspirants who are qualified and want to choose their career in Maharashtra Public Service Commission, then you are on the right web page, via this web page we are provided you current good advertisement, which will be relevant to your needs & suited to your stream as per your qualification. We always tried to provide you desired job. For developing their work efficiency and manpower, the organization is required for eligible & interested candidates. Education Qualification ->> Applicants who have pass degree from recognized university. Age Limit ->> Minimum 18 & maximum age is 35 years for this job. Pay Band ->> Selected candidates will get Rs. 9300 – 34800 with GP Rs. 4300/-. Application Fee ->> For this job, candidates have to pay the amount of Rs. 524/- and Rs. 324/- for the SC/ST category aspirants. Selection Process ->> Selection of the candidates will be done on the basis of their performance in Written Exam and physical fitness test and personal Interview.